Writing a great resume isn't an exact science. There are so many variables with every listing you might apply to during your job search that there's no one surefire way to ensure you get the position. 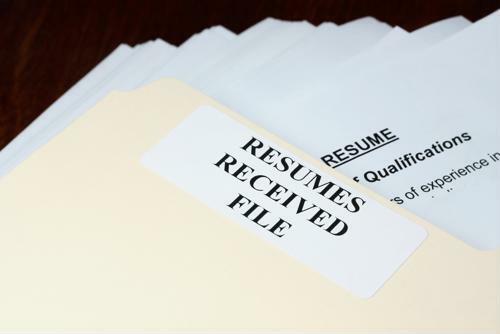 In fact, your resume should be a living document that changes every time you apply to a new job. While most people understand that the devil's in the details, it helps to make sure an entire document looks as good as it possibly can. While you're probably not changing much about what's actually listed on the resume in terms of skills and experience, when you move things around or otherwise alter them, you should get a big-picture view of the document and ensure it looks good from a distance. That alone could be the thing that gets it read a little more carefully. Experts always recommend tailoring a resume to the language in the job listing itself, but it's also critical to simply review the wording of every sentence. Ask yourself, "Is this worded as concisely as possible?" Fewer words will always do the trick as long as they can convey the right message, which helps make hiring managers feel as though they're not bogged down with a resume. Just as a great album opens with one or two of the best songs on the record, or a baseball lineup should start with the most consistent hitters, so too should your list of experiences. Start by listing the qualifications most applicable to this position atop your resumes, advises Glassdoor. The most relevant information should always be at the top, but leading off with something that will really wow a particular hiring manager is always a good idea. While it's usually a great idea to list your job-specific skills high on a resume, that doesn't mean you can afford to ignore the soft skills you bring to the table. After all, you're trying to give the person reading your resume the best possible picture of you as a worker, so including your soft skills - communication, leadership, etc. - is a must. Whenever possible, you should aim to contextualize your quality as a candidate, according to Indeed. That means not just saying, "I helped increase sales within my department," because that can be a little vague, but the specificity of, "I helped increase sales within my department by an average of 15 percent annually," could differentiate you. The clearer the context for your top achievements, the more likely you may be to get an interview. No hiring manager has the time or energy to read dozens of lengthy resumes, Indeed further noted. As such, if you can err on the side of going shorter while still listing all your accomplishments, you may be more likely to stand out.